Talk in computer language. 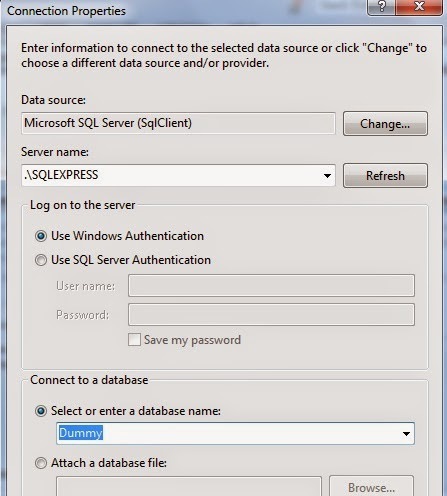 : Database already Exists? Still chance is there for Code First! 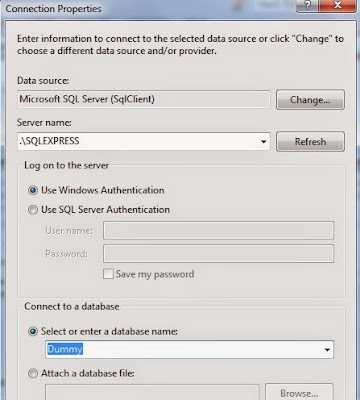 Database already Exists? Still chance is there for Code First! Few days ago we were trying to implement one API which will talk to one existing database. Now, developer/industry is very crazy with Code first approach in Entity Framework. The general approach behind code first is , If the project is brand new. In our case, The project was brand new but not database…!!! 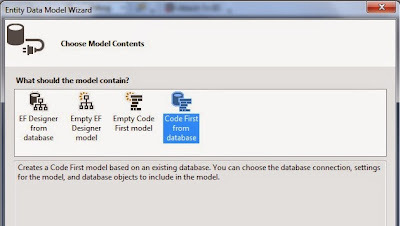 .Shall we go for code first still or simply we will generate model from existing database? 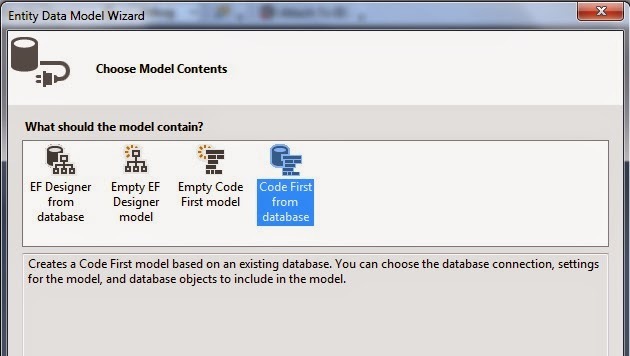 Hold on, there is chance to implement your domain model from database using Entity Framework and that too automated. Choose your database and server here. And once you finish model add operation , you will find that Entity classes is added in your solution. In my case my Dummy database contains test class and that is reflected here. And here is scaffolding context class.